Today we have more ideas from Stampin' Up! HQ. 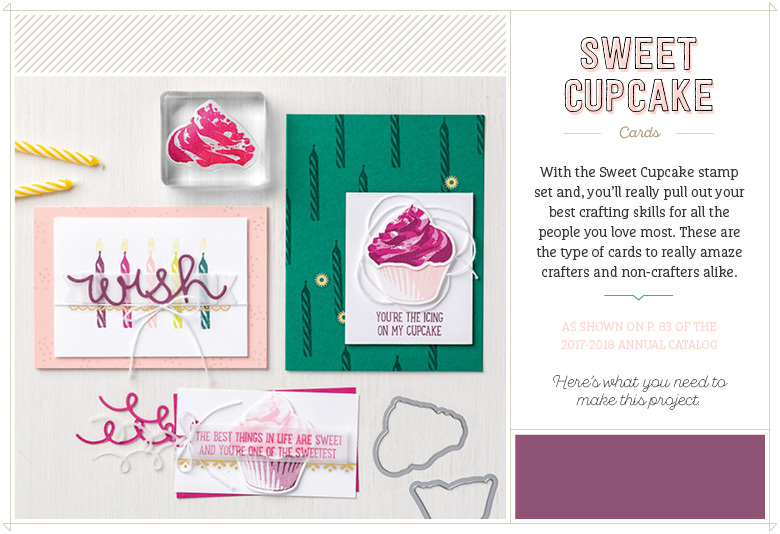 Whenever I'm not sure what to make I head over to the Official Stampin' Up! Store and see what project ideas they have. This always gets the creative juices flowing! Make the gorgeous cards above with the Sweet Cupcake Stamp Set and co-ordinating dies, and the 2017-2019 In Color Classic Stampin' Pads collection. These projects are so simple - simple enough that you can just make them by copying their layout in the images above. You can find the whole list of products needed to make these cards below.